March Break is a weeklong holiday tradition that usually signifies the coming of spring. 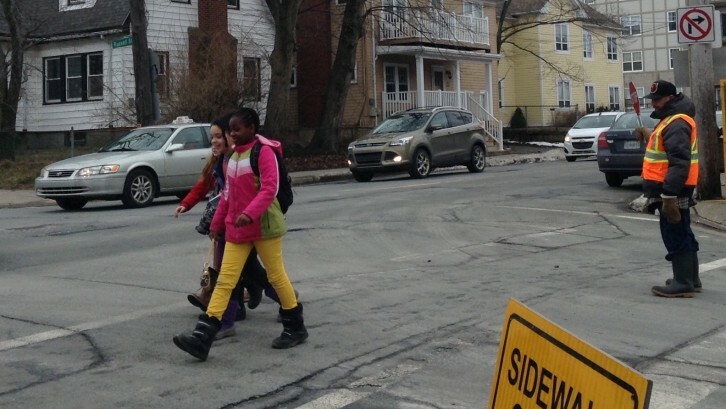 For more than 10,000 kindergarten to Grade 12 students on the Halifax peninsula, it’s also a break from classes. But don’t worry. There are a number of ways to keep learning while school’s out March 14 to 18. Here is a list of five March Break day camps in the city that will keep kids learning. The Art Gallery of Nova Scotia is offering a day camp for children ages five to 12. There are half-day or full-day classes. The classes are in mixed media, moulding clay, painting and sculpting, structure design and construction. Each class is run by a local artist, while the gallery supplies the art materials. Pre-registration is required because classes are capped at 13 students. For non-members, the cost is $130 for the whole week for half-day classes and $260 for full-day classes. There are discounts for members. The gallery also runs a weekly sketching session on Wednesday and Thursday afternoons. Non-members need to pay regular admission. Classes are filling up fast. Some are already sold out. Shambhala School in Halifax’s north end is offering classes with Artech Camps. Students can choose between two camps, depending on their age. The camps give tech-savvy students a chance to get creative with coding. All Things Mario and Minecraft is for students ages seven to 12. They are taught how to make their own animated characters and how to create digital characters for their own video games. Minecraft and Beyond is for students ages 11 to 16. Students are also introduced to computer programming through Game Maker Language, a programming language that makes game development easier for the user. Students can also make characters and plan game stories that are similar to those in the popular game Minecraft. The camps run Monday to Thursday, 9 a.m. to 4 p.m. and Friday from 9 a.m. to 3 p.m. Registration is required in advance with a $339 fee. There are two spots available. The Dalhousie Tigers are hosting a basketball camp for youth ages 8 to 15. New players learn about the game and current players get a chance to improve their skills. Students will receive an evaluation report at the end of the week. Students also get to swim at the Dalplex pool. The fee is $200 for members and $225 for non-members. The day runs from 9 a.m. to 4:30 p.m. Students are advised to bring a lunch every day as well as a water bottle, towel and swimwear. NSCAD University is offering visual arts day camps that cater to different ages. The day camps run all week from 9 a.m. to 4 p.m.
Children ages five to eight learn about the animals that live in our Atlantic waters through drawing and experimenting with different tools and textures. Older children learn how to paint and sculpt. Youth can try comic strip making, map-making, sculpting, animation, urban art and more. All materials are supplied and lunchtimes are supervised. The classes for students age five to 14 are $295, and $325 for students 15 to 18. You must register online before the class. Class sizes are limited. The Discovery Centre is hosting two day camps for children ages 6 to 12. Digging Dinos for youth ages 6 to 12 focuses on the prehistoric era of dinosaurs. Children learn about how dinosaurs ruled the earth and come face to face with Sue, the world’s largest tyrannosaurus rex replica. In Digital Discovery, children ages 9 to 12 learn about digital technology. The camp teaches youth about robotics, video game development and drone technology. Digging Dinos is $180 for non-members and $165 for members. Digital Discovery is $275 for non-members and $250 for members. The camps run every day from 8 a.m. to 5 p.m.
Andrea Durfee, an employee at the Discovery Centre, says any student can enjoy the hands-on approach to learning, even if they aren’t interested in science at school.